The National Transportation Safety Board recently declared that all convicted drunk drivers should be required to have ignition interlocks. They even included first-time offenders in this bunch, according to the Boston Globe. As it stands now, these devices are required of all drunk driving offenders in 17 states. But in Massachusetts, first-time offenders are not required to use these devices unless ordered by a court. Many times, they’re not ordered for first-time offenders. Our Boston drunk driving car accident lawyers understand that drunk driving crashes account for about a third of all roadway fatalities in the country. These devices have been proven in helping to stop drunk driving car accidents. 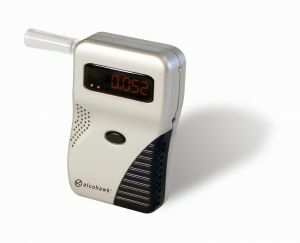 How they work is a driver has to breathe into a breathalyzer in the vehicle before it can be started. Typically, if these devices gather a blood-alcohol concentration reading of .02 or .04 or higher then it won’t allow the engine to be started. The National Transportation Safety Board is also trying to get automakers to develop a system that can figure out a driver blood alcohol concentration by using an infrared light. When the driver goes to hit the ignition button, it won’t start if they’ve been drinking too much. This device is still in the works though. This technology is already in some workplace drug-testing programs. Officials believe that if it can be incorporated into new vehicles, then eventually all drivers would be tested before starting up the car and we could help to prevent the roughly 10,000 drunk driving fatalities that we see in the country every year! The technologies hold ”great promise to be a game changer in highway safety,” said NTSB Chairman Deborah Hersman. What does a driver have to do with an ignition interlock? -Installation: A convicted driver has to contact an approved vendor and schedule a time for installation. -Payment: There and installation fees along with maintenance feeds. Those are required to be paid by the driver. -Maintenance: Every 30 days, the driver must visit with the vendor for a maintenance check and for a data upload. -Usage: A driver is required to follow all of the rules and regulations that come with the ignition interlock. These devices cannot be tampered with in any way. If a driver is busted altering these devices, they could face even more charges in court. In Massachusetts, there were close to 115 people killed accidents in which at least one driver was completely drunk in 2008. There were another 125 people who were killed in car accidents in which at least one driver was under the influence of alcohol. With close to 11,750 people arrested for DUI the year before, you’d think residents would learn. That’s not going to happen without ignition interlocks for more drivers. If you or someone in your family has been involved in a drunk driving accident, call the Law Office of Jeffrey S. Glassman, LLC for a free and confidential consultation to discuss your case. Call 1-888-367-2900.